A new impetus has been given to faltering WTO trade discussions by the recent EU mandate supporting the liberalisation of agricultural trade policies and removal of export subsidies on agricultural products, within an environment in which all countries start reforming their trade policies. Until now, discussions have centred on agriculture in general, rather than at specific commodity level. This paper rises to the challenge laid down by the EU in identifying the specific commodities for which developing countries would gain benefit in any subsequent reforms. 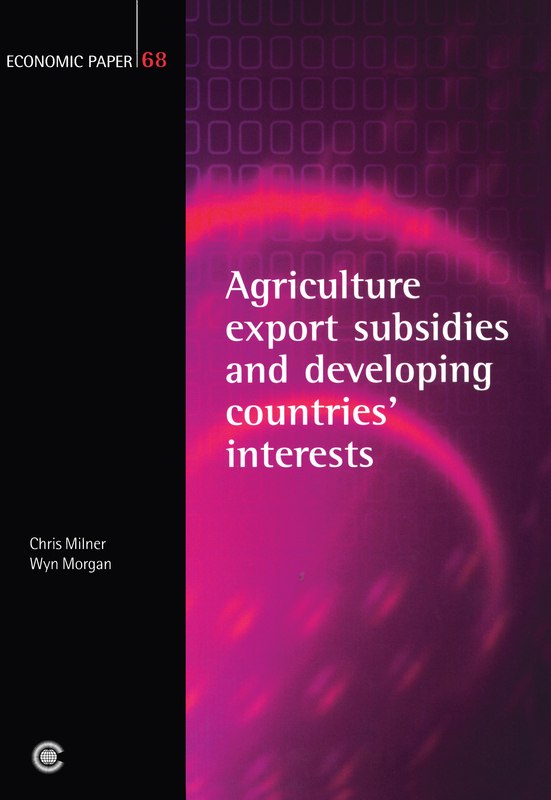 The paper outlines the nature of export subsidies. It discusses the effect of reform on developing countries, indicating the scale of any changes. The policy implications of removing agricultural support in the EU are given and the consequences for net food exporting and importing countries examined. Finally, the impact of EU agricultural policy reform on other policies, such as the Protocols of the Lome Convention are considered. What are the characteristics of current intra-Commonwealth trade, and how can it be encouraged to grow? Trading on Commonwealth Ties identifies opportunities for stimulating trade within the Commonwealth, but warns against setting up a free trade agreement across the member states. A study that looks at how best developing countries should respond to the erosion of trade preferences caused by continuing multilateral tariff liberalisation, either through restructuring individual preference arrangements or by acting to offset the adverse effects of preference erosion.